Meet at Soroptomist Park for weeding, cutting, etc of weeds (leave the flowers, lol) and possible spraying of crabgrass growing in the bark. Need to spread the bark from the pile onto areas where grass has been weeded/sprayed. Need to regain circumference of border for the garden. Need to clean up the pond area of the garden. Weeding is an issue and large spots of grass will need to be sprayed if impossible to pull. Contact Mrs Duryea or Priyanka for questions. — Take junk & sell it @ Flea market or donate..
2- Cherry Blossom Festival My cousins this year have tore up (construction) in their place, bad thing is this year there is no room to have people stay, 😦 BUT, good news is we could raise some funds if they wanted to work the booth, for maybe one night in a hotel? – I was going to fly in to D.C. March 30th – stay until April 4th or 5th – running in the 10 miler APril 1st in memory of my Dad’s birthday – and work the booth on the 31st – would that be of interest to grab a handful of them to come and maybe stay? 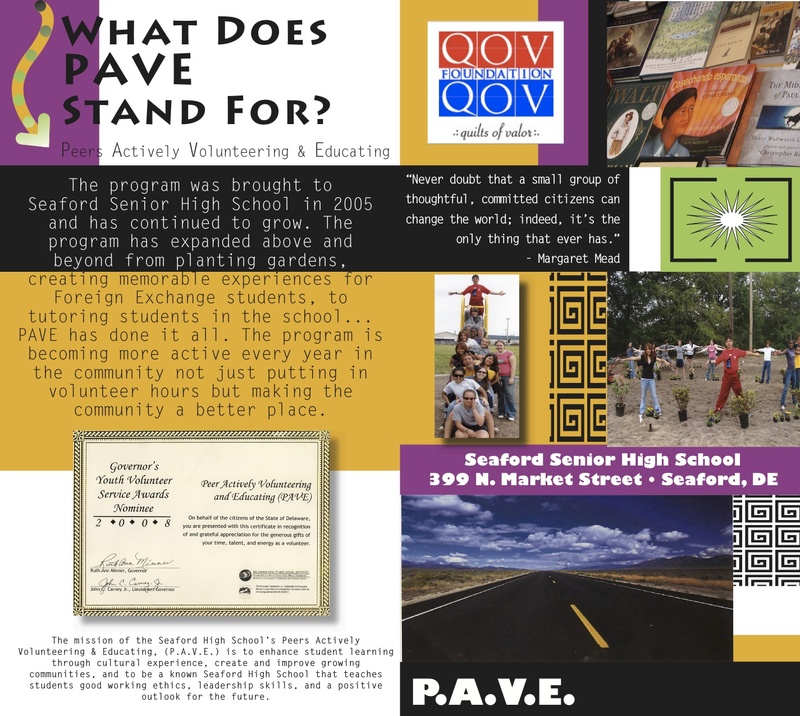 3- Can we do anything to recruit a handful of people to do PAVE next year? We could conduct it pretty much online? 4- Concessions – could we do the upcoming one in Feb – and do it with hotdogs, candy, coffee, of everyone pitched in and brought some items? 5- I have been working email with the Kiwanis and Tom, trying to see if we can get a type of pump for the pond to clean that up in the garden, and I am working on TWO grants for the grden this weekend, one for the Blades and one for Soroptomist, if I sent that to them for editing, would they add some things? 7- That HUGE purple ribbon for Relay for Life, in the shed behind my house, has ribbons in it people made to remember people from Relay for Life, would they be know of a place to store that so we can use it for the 5k’s this Spring and summer? 8- Seaford Run a thon series, first one is May 12th, celebrating Mother’s Day, Dr Betts and Vince Morris Memorial, would anyone be able to help time, and work that 5k? (3 hours). At Chapel Branch 8:00 – 11:30. Benefits the Relay for Life and future 5k’s in their memory.